The Point Concentric 10 is the largest, most high powered enclosure with a conical dispersion pattern in the Point Concentric series. It is a compact, passive coaxial loudspeaker housing a single 10” component, featuring a 70° conical pattern. The enclosure produces linear, high-resolution audio throughout the intended bandwidth, and it includes three M10 fly points and one Omni Mount 30 series mounting point as well as a built-in polemount socket. 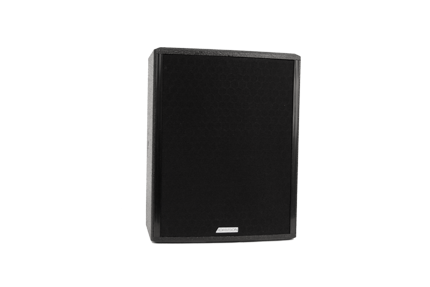 The PC 10 makes an excellent addition to your inventory as a powerful standalone solution for lighter audio reinforcement, or as a light-weight fill speaker, with a variety of rigging options. PC 10 Rigging Bracket (934-0021) Vertical rigging yoke for the Point Concentric 10.